Artists from Fargo-Moorhead and the surrounding area are opening their studio doors and putting their artistic talents on display as the Fargo Moorhead Visual Artists (FMVA) 15th Annual Studio Crawl kicks off this weekend. The crawl will feature over 70 artists in 38 studios. 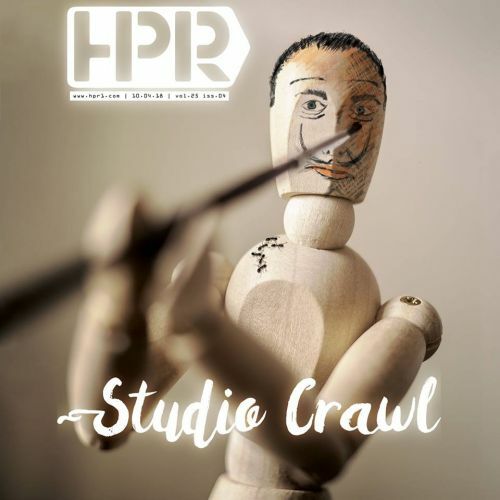 The Studio Crawl is an event that takes place every year on the first weekend of October. It is a chance for artists to show the public what they have to offer. Whether crawlers are new or veteran artists, or just fans of the arts who want to see what the arts community in the area has to offer, the Studio Crawl has something for everyone. 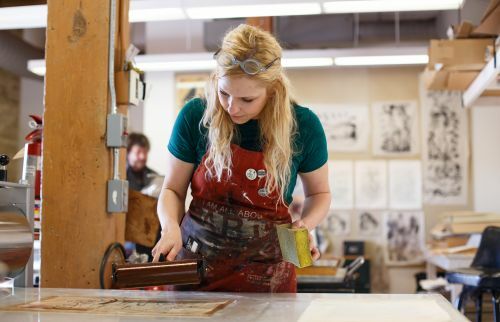 From digital prints, to wood carvings, acrylic paintings, and ceramic wares, the crawl offers a diverse glimpse into the arts community of Fargo-Moorhead. Jon Offutt, Director of FMVA, says the Studio Crawl is also an opportunity for the public to visit the different studios and really get into the working spaces of the artists. Several artists have been on the Studio Crawl since the beginning, so those attending who have been on the crawl before may recognize some of them. It also includes several artists new to the crawl. Offutt says every year there is about a 25 percent turnover. That usually includes the new artists as well as veteran Studio Crawl artists taking a year off or coming back from time away. He says that over the past 15 years the crawl seen a net gain in studios and sponsors, and has grown by 10, from 28 to 38 studios. The arts are constantly changing and even though attendees may have visited a studio or artist last year, the artist(s) will no doubt have something new and fresh to offer this time around. Over the years, some artists have been working on new projects and may have a fresh look for their work. The event is very comprehensive in its scope. The Studio Crawl is a great opportunity to catch up with them, see what they have been working on, and ask them about their work. Offutt, who is also an artist on the crawl route, does glass blowing from his south Fargo shop. His studio is filled with equipment and glass projects such as gourds and vases. The crawl is also a chance to see what projects artists may be working on but have not completed yet. “You get to see your favorite artist’s newest work. Work that might not even be finished yet,” says Offutt. That newest, or unfinished work may be the most interesting to some because it can only be seen in the artist’s studio. 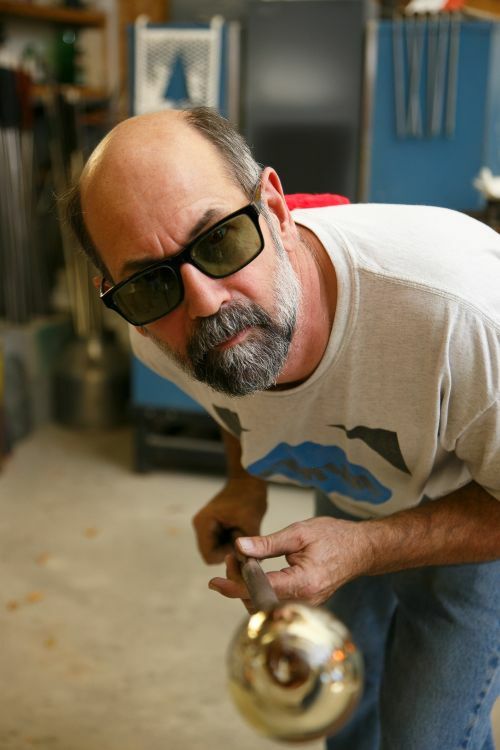 Offutt says he has been blowing glass for nearly 36 years and has projects that have never been displayed in a gallery or craft show. So, if an artist who has been working on his craft for nearly four decades has work yet to be seen, there may also be hidden gems all along the Studio Crawl route. Gems waiting to not only be seen, but asked about. FMVA is an organization comprised of many volunteers who all work to support the arts in Fargo-Moorhead. 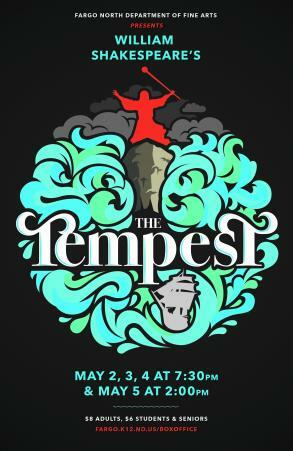 The organization is comprised of a 10-member board of directors, as well as many other committees who work together to support the arts, and the artists. phOffutt says the process begins almost right away after the Studio Crawl. In November and December, he will write grant reports about how the crawl went. In January and February, artists work on and submit applications for a spot on the crawl. April and May are a time to work on securing sponsorships. One of the most time-consuming pieces of the process is the brochure. This year, the brochure is 24 pages and includes write-ups by the artists about their studios and art. The brochure also includes maps on how to find the different studios on the crawl. These brochures are then distributed via mailings to Plains Art Museum, Rourke Art Museum, Hjemkomst Center, and Prairie Public members. They also go with Offutt as he travels all around the upper Midwest. The brochures garner exposure over a wide area. The FMVA also includes a jury to decide whether a new artist will be included on the crawl. 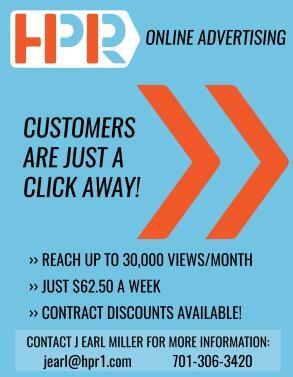 The main requirement is the artist must have a studio he or she can open to the public. Offutt says FMVA defines a studio as, “someplace you can leave your mess. You can walk away. You don’t have to serve anybody dinner there or let somebody park their car there. It’s your studio.” After the jury sees the studio requirement has been met, they look at submitted work from the artist. All new artists submit an application, which includes slides of their work and their studio. The Studio Crawl begins at noon this Saturday, October 6 and lasts until 6 p.m. The times are the same on Sunday, October 7. Crawlers can visit any or all of the studios in any order they wish. The studios are free to attend and open to the public. Studios along the route are located in Fargo, West Fargo, Moorhead, Glyndon, and Felton. Many of the artists offer refreshments at their showings. Glyndon and Felton hold one studio each. Doug Stuckle Art Studio, located in Glyndon, will be displaying “natural realism” style paintings which are based on photos taken on Stuckle’s travels. At Ken Omundson’s KO Clay in Felton, functional pottery is the focus. Two studios are located in West Fargo – Catie Miller Ceramics is new to the crawl this year and Kayla Helenske’s Expressive Journeys blends therapy with painting. 10 studios are located in Moorhead, including Brenda Luthi’s studio in extreme north Moorhead. Minnesota State University Moorhead’s Center for the Arts will display works by professors, alumni, and students. Jacqueline J. Anderson, who is responsible for getting student teachers in the MSUM art program, can also be found in Moorhead. Fargo is home to 22 of the 38 studios. 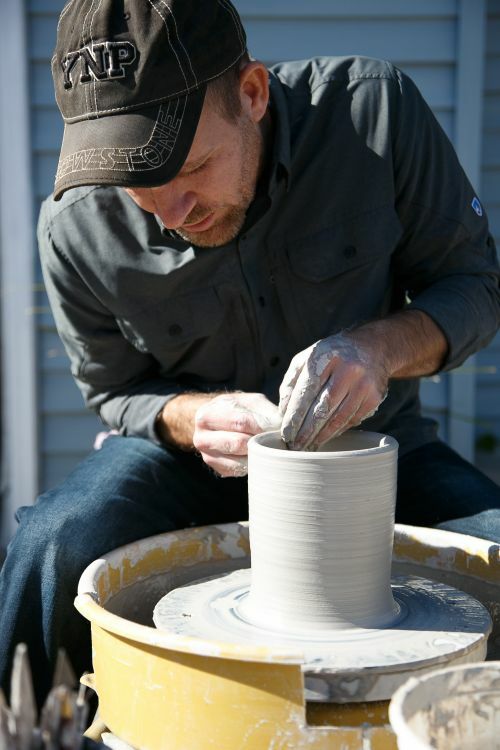 Some of the studios in Fargo include William Damon’s Heart of the Prairie Studio, Dale Cook’s Nature’s Gifts, and Brad Bachmeier’s Bachmeier Pottery and Sculpture. Bachmeier is the 2018 FMVA Member of the Year Award-winner. He is the program coordinator and a professor of art education at MSUM, has served on several arts board of directors, and has been involved in exhibitions nation-wide. Former First Lady Michelle Obama has one of Bachmeier’s pieces in her personal collection. The arts are alive and well in the Fargo-Moorhead area. The Studio Crawl is a wonderful opportunity for people from all around to visit artists where they work, explore how they make their magic, and show them support. Anyone interested in what the Studio Crawl has to offer should make sure to set aside time this weekend to visit as many of the artists and studios as possible. A full listing of studios participating in this year’s FMVA Studio Crawl and where to find them as well as information on event sponsors and Fargo Moorhead Visual Artists can be found in this issue of “High Plains Reader” or online by visiting fmva.org.